The internet has changed the way we conduct business. 97% of consumers now use the internet to find local businesses. Consumers aren’t just using the internet to find a local business, they’re also using the internet to find out if that business is the right one for them. And it doesn’t matter if you own a Sarasota restaurant, are a Sarasota plumber, or you’re a Sarasota lawyer. If you’re in business, you should also be in the business of online presence management. What people say about your Sarasota law firm can literally mean the difference between success and failure. To help you make the most of your web presence management, here are a few steps you can take to help protect yourself. Personal reputation management can’t begin unless you know what’s being said about you online. Begin by performing a Google search on your name and your business name. Then set up a Google Alert so that you can keep track of the reputations of yourself, your business, and even anyone related to your business. This way, if something great shows up, you can use it to your advantage as soon as possible. And if it’s bad news, you can act quickly to ensure your brand and reputation don’t take huge hits. You have more control over your Sarasota web presence than you know. Especially since you’re a Sarasota attorney. Your clients hire you because you have the expertise they lack on specific issues of the law. By educating your clients and providing them solutions online you have the ability to help them see you as the right choice when they need representation. Start a blog and write about how and why you can equip your clients with the legal solutions they need. Get on social media and start sharing your legal expertise. Join online forums where you can share your expert advice. This way, you’re empowering your clients with exactly what you want them to say about their case and your service. Let’s face it, every business has at least one or two negative reviews. It’s just a fact of life. The trick is knowing what to do when a negative review pops up. When handled well, it can actually work in your favor. When one does come up, don’t react right away. Instead, allow yourself some time to process what was said and think about how you want to handle it. Getting angry and responding negatively will only make you look bad. See if there are ways you can improve the way you do business based on what they’re sharing with you. Then, respond to the customer so that everyone can see that you’re doing what you can to resolve the issue. If it’s a good review, you can use these to your advantage. Share them on your website. Use them on social media. And remember, the more positive reviews you have, the less of a big deal a few negative ones will be. Don’t be afraid to ask your clients for reviews. 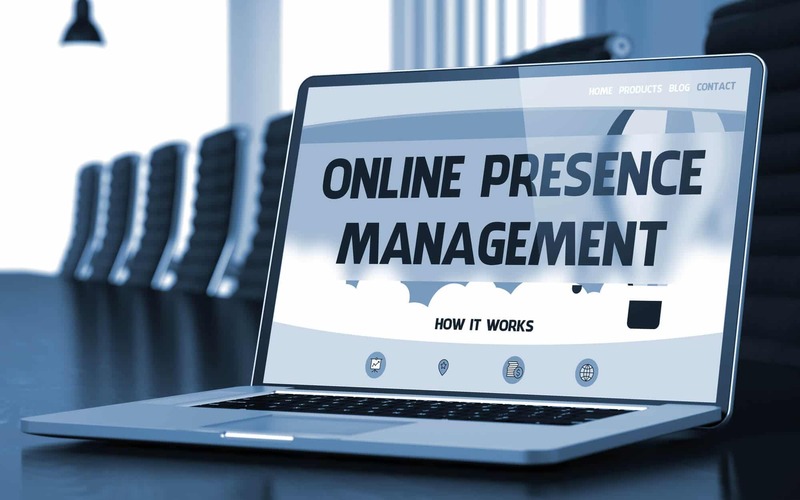 Online presence management should be a part of your business but it shouldn’t take up all your time. Instead, get help with your marketing and branding from experts. We can help. Our site has tons of great marketing tips and tools to help you succeed. To help you increase your brand awareness and get more clients, keep reading our blog posts.